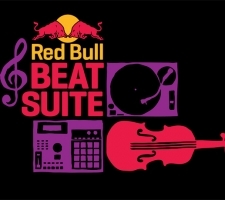 Dare has completed the sound, music and audio mix for the Red Bull Beat suites multimedia launch. Red Bull broke down the boundaries between musical genres and created an event the likes of which the world has never seen before. Imagine Aloe Blacc, Ladi6 and Ryan Ritchie's vocal talents on stage together for one night only. Drop in the rocking beats of Galapagoose, Amin Payne, Daltron, DJ Perplex, and Scratch 22 and you’ve got an insane show Add to this fifteen acclaimed members of the Australian Youth Orchestra and it becomes a world first event not to be missed. Plus, throw in a light show by world renowned light artists Eness, and we have ourselves a party ladies and gentlemen. That's Beat Suite. The most beautiful musical Frankenstein you'll ever see.